Rascals come very close to beating the league leaders in a very closely fought game in the cold north! Reading Rascals came very close to taking the first points from MBBO Div 7 leaders Wootton Wanderers today but just ran out of time. 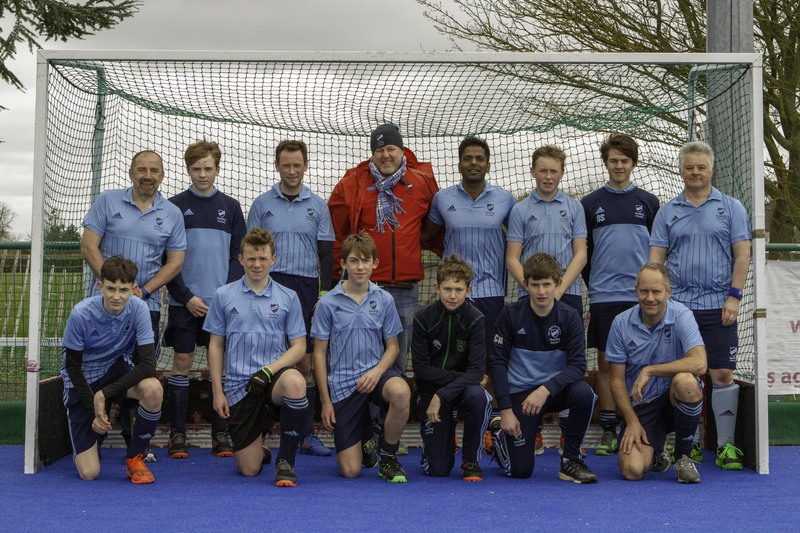 The Reading side played the far nicer hockey and were unlucky in front of goal missing a Penalty Flick and having numerous opportunities saved by the Wootton keeper. Rascals went behind early in the game and conceded a second before the 15 minute mark. The started to fight back playing some good flowing hockey and pulled a goal back. They then conceded to a well struck reverse stick shot that took the store to 3-1 at half time. A penalty flick was awarded for a deliberate foul on forward Ben Partridge but the goalkeeper made a match winning save. Rascals did get a goal back to 3-2 only to concede another from a short corner. The Reading side then scored another to bring the score to 4-3 but the hosts extended their lead to 5-3 with just over 5 minutes to play. Rascals got another goal back and gave the hosts a nervy last few minutes as they looked dangerous with every attack. The young Reading side took heart from the excellent team performance but were disappointed not to win as they reflected on the match during the long 80 mile journey home!